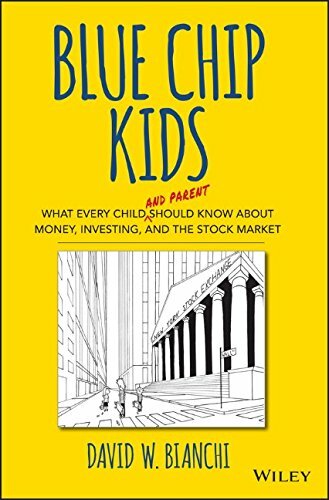 Blue Chip Kids: What Every Child (and Parent) Should Know About Money, Investing, and the Stock Market is a fun and easy-to-understand introduction to the world of money and investing for kids and parents. Frustrated by the lack of entertaining financial teaching materials for his 13-year-old son, this book is the result of a father’s commitment to pass on one of life’s most important skills. Written by David W. Bianchi—an investor and lawyer with an economics degree from Tufts University—this hands-on resource demystifies the basic principles about money matters and shows what it takes to spend, save, and invest wisely. Filled with simple examples and numerous illustrations, this easy-to-read book discusses money and investing in 100 bite-size topics. 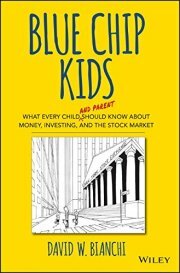 For every parent who wants their children to develop the skills to invest wisely and become responsible money managers, regular savers, and to earn money while they sleep, this book is a must-have.